We’re honored to announce the next phase of our sponsorship of Harrison Burton, the 19-year old driver we’ve supported for over 5 years. He will join Joe Gibbs Racing for 8 NASCAR Xfinity Series races this year driving the #18 DEX Imaging Toyota Supra. 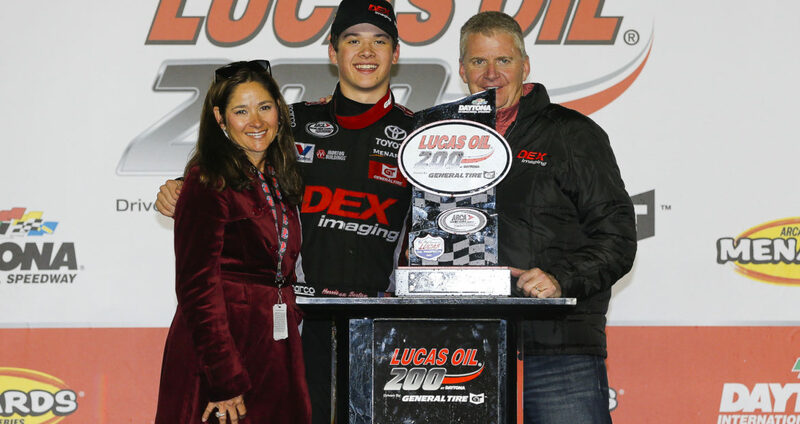 HUNTERSVILLE, N.C (April 1, 2019) – Joe Gibbs Racing (JGR) announces today that Harrison Burton will drive the No. 18 Dex Toyota Supra in eight NASCAR Xfinity Series races in 2019. Burton, 19, will make his NASCAR Xfinity Series debut at Bristol Motor Speedway on April 6, and is scheduled to compete at Iowa Speedway (June 16), New Hampshire Speedway (July 20), Richmond International Raceway (September 20), Charlotte Motor Speedway (September 28), Dover International Speedway (October 5), Kansas Speedway (October 19), and Texas Motor Speedway (November 2). Burton is currently running fulltime in the NASCAR Gander Outdoor Truck Series (NGOTS) for Kyle Busch Motorsports where he has earned one top-five and two top-10 finishes in five starts so far this season. He has 20 career starts in the NGOTS with five career top-five and nine top-10 finishes. Burton has also made 33-career starts in the NASCAR K&N Pro Series East putting together an impressive 2017 season in which he earned five wins, 12 top-five finishes and was in the top 10 for each of the season’s 14 races. We congratulate Harrison and the Burton family on this important accomplishment. We’re proud to be a part of the future of this talented driver.